Summary: Raffaello (Rafe) Palazzo takes what he wants with no regrets. Arianna (Ari) Lynn Harlow has led a charmed life until tragedy strikes her family. He’s looking for a no-emotions attached mistress, she’s looking for redemption. 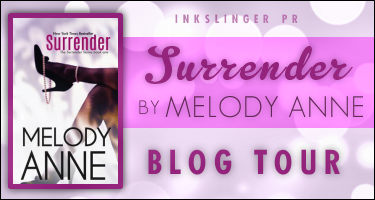 About Melody Anne: Melody Anne is the author of the popular series, Billionaire Bachelors, and Baby for the Billionaire. She also has a Young Adult Series out; Midnight Fire and Midnight Moon - Rise of the Dark Angel. She's been writing for years and published in 2011. She hold a bachelors degree in business, so she loves to write about strong, powerful, businessmen.